The latest version of oc_sso is v1a. The map file can be downloaded by my server. Last edited by masa0x on Fri Apr 17, 2009 4:52 pm, edited 1 time in total. Location: The magical land of Boredom. Now if i can get my internet to work. Did I already tell you that these displacements look way better than a great part of the brushwork in your other maps I've seen before? It's always fun to see your boss creatures. Masa0x, have you changed your translation software? And the map is really crazy and good. Great work!!! I look forward to the new version. I'm sorry. What you want to say is not understood. Do you want to say the thing said that it will not like these person type NPC attack because NPC of the person type is used for the boss? There is no deep reason for the thing that I am using person type NPC for the boss. 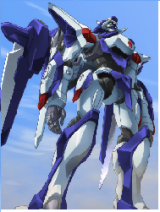 and the last boss is funny i bet you got it from gundam 00 second season. nice name for it by the way gman 00! When Barney was shot, I thought that the combat became difficult because the target was small. I try to fix that next ver. The original of the boss of oc_crimson is this. and The original of the boss of oc_sso is this. i think you made oc crimson as well. and can you somehow make the final boss live longer. wich means i cant see it good myself. i also looked at previous post of the map. and i gues you took berserker mode from trans arm. would also be funnier with 00 riser. Whoa, those screenshots are crazy. hey guys. a smal notice apereantly the bersekers mode color doesnt work. noticed it after being stuck into gman wen we were playing oc sso. just so you know what i mean we were fighting him he went into berseker mode didnt change color and he kild me. after grabing ammo and weapon i went to teleport and acidently teleported right into him. so i got a good look at him and he didnt move so others could shoot him. destiny wrote: hey guys. a smal notice apereantly the bersekers mode color doesnt work. noticed it after being stuck into gman wen we were playing oc sso. I corrected this problem. And, oc_sso_v1b was released. It caused about this problem because the FireUser1 output of the logic_relay entity did not work normally. When having changed from FireUser1 to Trigger, it came to operate normally. However, it had operated under such a condition correctly last week. I do not understand not to have moved suddenly why. A present version is v1j. The main change point is as follows. ･The particle effect is added to a part of production. ･The lambda locator event is added. It is necessary to reach the deepest part of the map to see another ending within 60 minutes. The latest version is downloadable in my site. Some screen shot is here. HEAVY ARMED GARG is back.